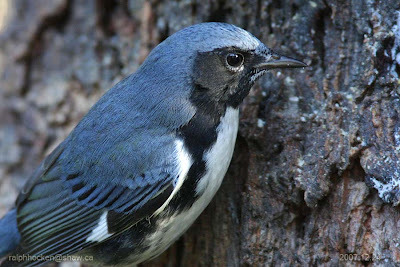 A Blue-gray Gnatcatcher was seen at Esquimalt Lagoon in Victoria. 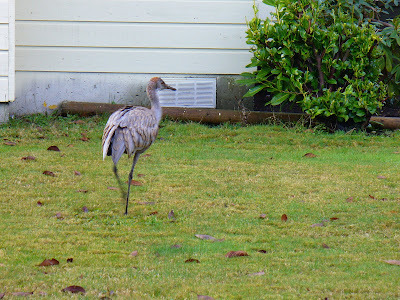 The bird was working the shrubs and trees at the far northwest end of the lagoon Road near the last three houses. 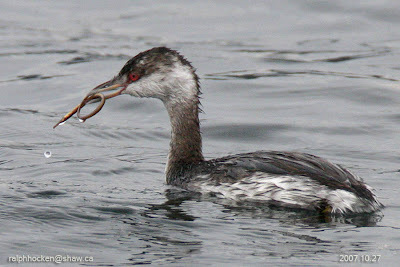 The Sunday Bird Walk went to the Buttertubs Marsh in Nanaimo. 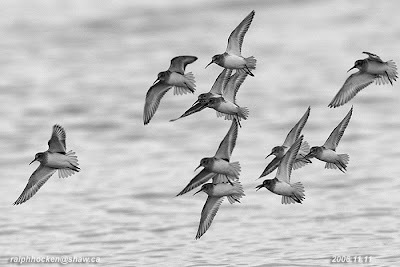 Seventeen birders found the following thirty-four species: Pied-billed Grebe, Great Blue Heron, Canada Goose, Wood Duck, Gadwall, American Wigeon, Eurasian Wigeon, Mallard, Hooded Merganser,American Coots, Bald Eagle, Sharp-shinned Hawk, Red-tailed Hawk, Barred Owl, Glaucous-winged Gull, Northern Flicker, Downy Woodpecker, Rock Pigeon, Northwestern Crow, Common Raven, Chestnut Chickadee, Bushtit, Bewick's Wren, Red-winged Blackbirds, American Robin, European Starling, Cedar Waxwing, Spotted Towhee, Song Sparrow, Golden-crowned Sparrow, American Goldfinch, Pine Siskin, Dark-eyed Junco and House Finch. A pair of Snow Buntings and Western Meadowlarks were seen at Seal Islets that are part of the Tree Island Marine Park off-shore from Comox. An Anna's Hummingbird was spotted looking at an empty feeder, this frosty morning, in Cowichan Station, south of Duncan. 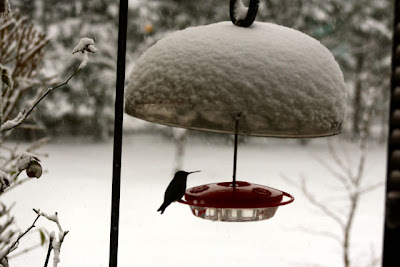 Anna's Hummingbirds are visiting feeders in the 2800 block of Keighly Road in Nanaimo. 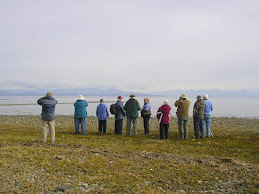 The Wednesday bird walk went to the Little Qualicum River Estuary just north of Qualicum Beach. 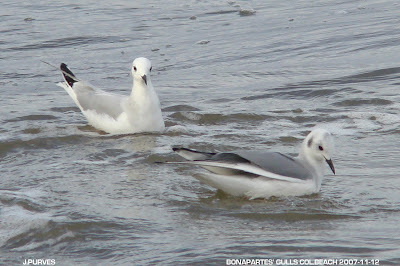 Among the highlights was the sightings of nine species of Gulls--Bonaparte's Gull, Heermann's Gull, Mew Gull, California Gull, Herring Gull, Thayer's Gull, Western Gull, Glaucous-winged Gull and a Glaucous Gull. There was at least fifty Bald Eagles on the beach, perched in trees and soaring in the sky. 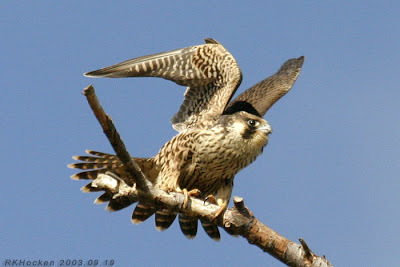 We spotted a Peregrine Falcon racing up in the sky and then looking for a thermal to soar with Bald Eagles. Nine birders found the following thirty species: Canada Goose, American Wigeon, Mallard, Green-winged Teal, Harlequin Duck, Surf Scoter, White-winged Scoter, Black Scoter, Common Merganser, Red-breasted Merganser, Common Loon, Horned Grebe, Double-crested Cormorant, Great Blue Heron, Bald Eagle, Peregrine Falcon, Killdeer, Bonaparte's Gull, Heermann's Gull, Mew Gull, California Gull, Herring Gull, Thayer's Gull Western Gull, Glaucous-winged Gull, Glaucous Gull, Belted Kingfisher, Northwestern Crow, Common Raven and Brewer's Blackbird. 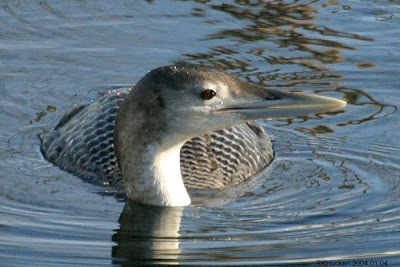 A Red-breasted Sapsucker was seen at the Notch in Nanoose Bay. Several Anna's Hummingbirds were seen in the 100 block of Nottington Drive and in the 3800 block of Hammond Bay Road in Nanaimo. A Rufous Hummingbird was seen at feeders in the 5900 block of Breonna Drive in Nanaimo. 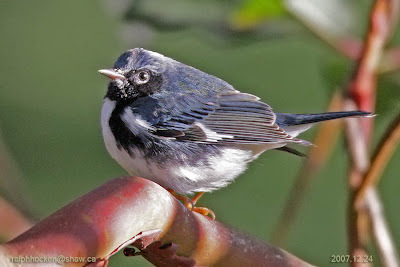 A RUSTIC BUNTING, an Eurasian species that normally winters in China and Japan was spotted at Whiffin Spit in Sooke. A juvenile Yellow-billed Loon, a Lapland Longspur, three Savannah Sparrows, three Western Meadowlarks, Song, Golden-crowned and White-crowned Sparrows were seen in the same area at Whiffin Spit in Sooke. 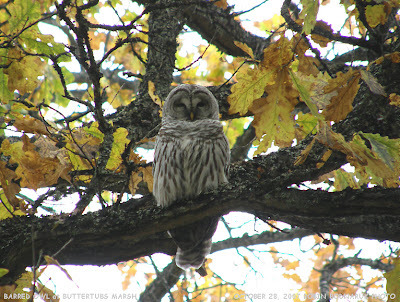 Golden-crowned Kinglet, Dark-eyed Juncos, two Spotted Towhees, six Band-tailed Pigeons, eight California Quail, many American Goldfinch, House and Purple Finch, two Red-breasted Nuthatches and an Anna's Hummingbird were spotted at a feeder in a yard near Boat Harbour near Cedar. Three Anna's Hummingbird were seen at feeders in the 1100 block of 3rd Avenue in Ladysmith. An Anna's Hummingbird was seen coming to feeders in the 3700 block of Jingle Pot Road in Nanaimo. 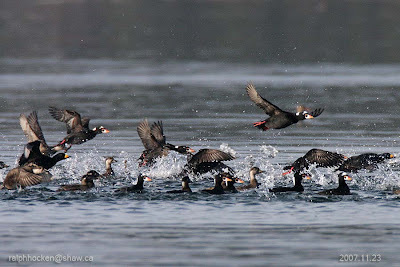 A large flock of Ring-necked Ducks were seen at Cottle Lake in Nanaimo. Cedar Waxwing and a Sharp-shinned Hawk were seen in the 3600 block of Sundown Drive in Nanaimo. 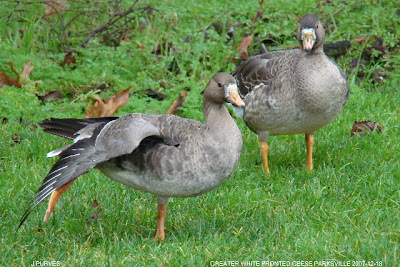 The Wednesday Bird Walk on October 31, 2007 will be going to the Englishman River Estuary, Shelly Road side. Meet at the Visitor Centre in Parksville on Highway 19A and Northwest Bay Road at 9 a.m.
or at the end of Shelly Road (off Highway 19a on the ocean side) at about 9:10 am. 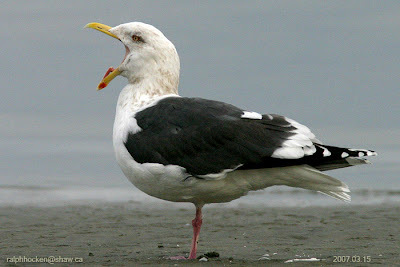 The Sunday Bird Walk on November 04, 2007, will be going to the Little Qualicum River Estuary in Qualicum Beach. 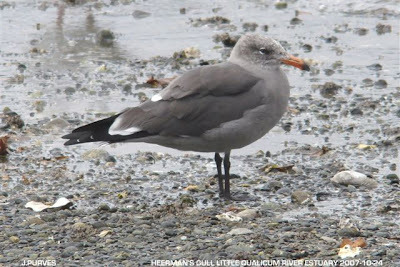 Meet at the Birdstore at 9:00 am or at the Viewing Tower at highway 19a and Garnet Road along the waterfront in Qualicum Beach at about 9:30 a.m.